As we know in STS, understanding a place of knowledge production requires awareness of its situatedness and history. And STS in Vienna has quite some history. In 1987, the University of Vienna established a Department for the Theory and Social Studies of Science. Headed by Helga Nowotny, and assembling a rather diverse group of STSers and philosophers of science (in a rather wide sense), this department was part of a faculty carrying the interesting label “basic and integrative sciences”, and had the liberty to act in ways that seem rather inconceivable in today’s managerial universities. It quite successfully taught courses without a formal relation to specific curricula, and it did not worry too much about the fact that a coherent departmental profile integrating STS and philosophy of science was not precisely forthcoming. In STS, it did research on the development of new scientific and technological fields such as high-temperature superconductivity, on the changing conceptions of time, on new forms of knowledge production, on contemporary and historical (early 20th century Vienna) forms of science communication, and produced an introduction to STS that became the standard book in the German speaking world in the late 1990s and early 2000s. Already in the 1990s, the Vienna group was an active part of the international STS scene, and part of several European research and teaching networks. International STS scholars such as Bettina Heintz, Hilary Rose and Judy Wajcman, visited the department as guest professors for a semester or more. Viennese STSers in turn contributed to international STS associations, with Ulrike Felt being first the organisational secretary on the EASST council (1995-1999) and then council member of 4S (2002-2004). In 1997, Helga Nowotny retired from the University of Vienna, and Ulrike Felt, who had been part of the department since 1988, took over the chair for the social studies of science two years later. Also institutionally, change was on the horizon. Internationalization and the acquisition of project funding for research slowly became priorities of the university also in the social sciences. For the STS group in Vienna, the 2000 4S/EASST meeting “worlds in transition”, which gathered more than a thousand STSers in the historical halls of Vienna’s main university building, was a clear statement of its international orientation. 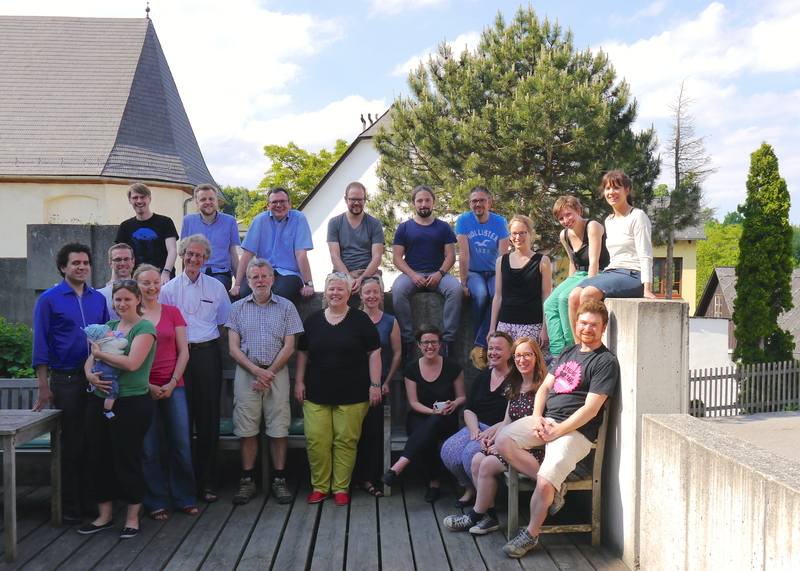 At the same time, Ulrike Felt founded VIRUSSS – the Vienna International Research Unit for the Study of Science and Society – with the agenda of building a highly visible project-funded research group within the existing department. VIRUSSS was more than just a catchy acronym and a template for a logo – a red icosahedron mimicking the basic structure of a virus. It was a programmatic statement of STS’ ability to “infect” others with its ideas, concerns and ways of analysing the technoscientific worlds we live in. For VIRUSSS, this had a double perspective – both to spread STS approaches to policy makers and wider Austrian society and to affect the university as an institution more deeply than a single largely isolated department would usually do. 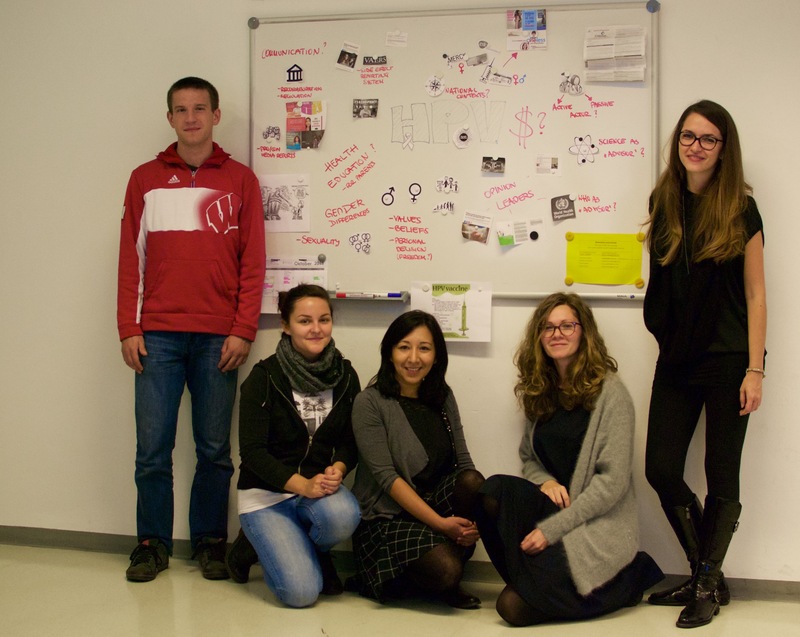 VIRUSSS gathered a group of young researchers, and in its early years mainly studied the rising tide of science communication and public participation events in Austria, as well as the institutional transformation of institutions of research and higher education. In 2004, in the wake of a new university law, the University of Vienna radically re-organized its structure, leaving little room for peculiar interdisciplinary constellations like the Department for the Theory and Social Studies of Science. Splitting the department, the philosophers of science moved to the Department of Philosophy, while VIRUSSS became a small Department of Social Studies of Science within the newly established Faculty of Social Sciences. The department studies how public understandings of and engagements with sciences and technologies are embedded in particular techno-political cultures. So far, projects2 have investigated a variety of issues relating to biomedical knowledge and technologies, the life sciences and nanotechnology (e.g. valuation practices around nano-food). A considerable part of this research focused on citizens’ perspectives, be it on how they deal with knowledge in informed consent practices or on how they perceive their role in public engagement contexts. In different projects, department research addresses issues of governance3. It did so in contributions on public participation and its role in wider governance processes, in work on the making and functions of techno-scientific futures in governing societies, in examining specific technologies of surveillance and classification, in analysing processes of individual self-governance and its relation to knowledge, particularly related to health (e.g. also in connection to the internet), and in studying research & innovation policies and their impact on research cultures. The department develops innovative approaches to study ways of knowing and living in research4, both in more traditional academic fields such as the life sciences or sociology, as well as in more hybrid contexts such as trans-disciplinary sustainability research or hybrid spaces between academia and business. In doing so, it aims to empirically contribute to debates on the temporalisation of research, on (e)valuation practices in the sciences, or on the role of new information and communication technologies for knowledge production (e.g. in the dissemination of research results). 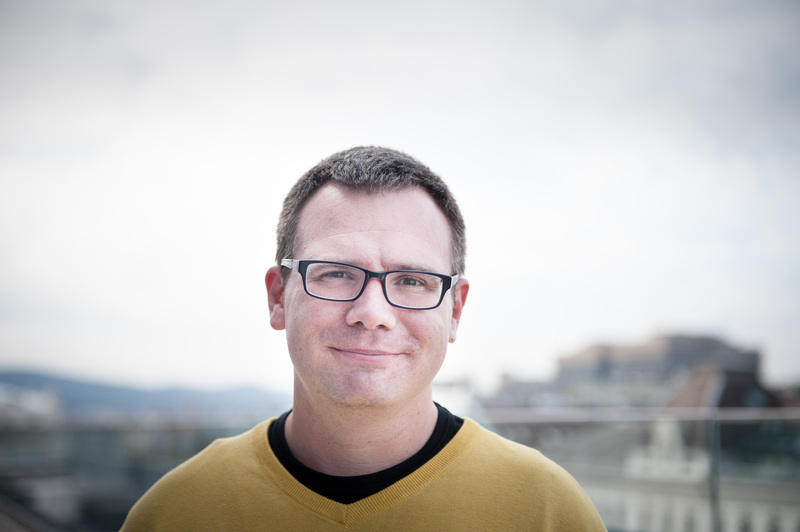 As a fourth focus, department researchers are engaged in developing new methods, including, novel interview methods, methods to evaluate science communication as well participatory engagement settings. A number of regular international conferences in the framework of the department’s research projects continued the internationalisation efforts, as did Ulrike Felt’s editorship of ST&HV between 2002 and 2007 and the establishing of an annual summer school for PhD students with international commentators in 2001. While research flourished during this time, the Bologna reforms and the resulting incessant disciplinary closure of curricula threatened the new department’s teaching offer, rendering it harder and harder to spread the “STS virus” in the institution. But the Bologna reforms also opened up new possibilities, in particular for non-strictly disciplinary master programs. As one of the first at the University of Vienna to take up this opportunity, the Department of Social Studies of Sciences launched a master programme in Science-Technology-Society5 in 2009, in English language to attract both an international student audience as well as to be able to include international STS scholars in teaching. Recently, the department has been renamed Department of Science and Technology Studies, and only the red icosahedron remains as a visual reminder of VIRUSSS and its story and legacy. We remain dedicated to internationality, both through a vibrant international guest professor program and increasingly also as a temporary intellectual home for visiting junior and senior scholars. Ulrike Felt is part of the team of editors responsible for the new STS Handbook aiming at contributing not only to the field as such but to a conversation with newly incoming students and researchers from neighbouring fields. Still rather small and with the spirit of the virus, we keep searching for opportunities to infect our university with STS in ever new ways – be it in a regular STS lecture series, or by proposing new institutional forms to reflect the challenges of responsible research and innovation in research and teaching. Department staff and PhD students with international guest commentators Wiebe Bijker and John Law. The Department of Science and Technology Studies at Vienna university offers teaching in an STS PhD curriculum, in an English language Science-Technology-Society master programme6, and in an STS minor that can be chosen by students of Vienna university as part of their respective bachelor. In all of these programs, we are committed to attracting an as interdisciplinary audience as possible, and to providing students with knowledge and tools to apply STS insights/perspectives in their own academic and future professional practice. The Science-Technology-Society master programme is best suited to explain our teaching philosophy and the challenges it faces. Established in 2009 and taught exclusively in English language, the four semester research-oriented program selects a cohort of 25 students each academic year. Owing not least to the attractiveness of Vienna as a city, and possibly also of our teaching program, the program recruits students from all over the world –roughly seventy per cent of our students come from outside Austria, and about one third from outside Europe. In a deliberate policy, we accept students from all disciplinary backgrounds, not just from the social sciences. Each resulting cohort hence brings with it a wealth of heterogeneous cultural and disciplinary experiences, which are an enormous resource. At the same time, this heterogeneity poses considerable challenges in teaching. In a two-year programme, time to create a solid common grounding in STS is short, particularly if this common grounding is to enable students to apply STS approaches and methods in first experiences in doing research. Our answer to this challenge is an introductory semester which engages students in intense case-based learning. They receive a lecture introducing them to basic questions in STS and seminars on STS theories, methods and the basics of scientific practice and literature research. Most importantly however, accompanied by senior student tutors, students draw together the knowledge acquired in these classes to work on one four “real-world” STS cases, such as for example the debates about scientific expertise after the L’Aquila earthquake disaster or the controversies around the introduction of the HPV vaccines in different countries. Over the semester, they research information about their case and develop and present an expose for a research project to produce new knowledge about the case. This didactic approach has proven to be surprisingly efficient in allowing students to internalize basic STS tenets and approaches. We are proud to say that this concept also won both the University of Vienna teaching award in 2014 and the Austrian national teaching award “Ars docendi” for the social sciences and humanities in 2015. National Teaching Award “Ars Docendi” 2015 for the social sciences and humanities. From the second semester onwards, students are exposed to a new kind of internationality. In choosing two out of three research specialisations (corresponding to the department’s research foci), they take courses largely offered by international guest teachers and professors. In the year 2015, we were excited to welcome Regula Burri, Kim Fortun, Alan Irwin, Hedwig te Molder, Monika Kurath, Sarah de Rijcke, Sergio Sismondo and Brian Wynne as international guest professors. The mix of an international student body and guest professors creates an exciting blend of different academic cultures and a highly interesting intellectual discourse. Of course, aligning different cultural perspectives on academic learning also generates frictions. But these are by far outweighed by the fun of gathering STSers and students from all over the world in a seminar room in Vienna. One of the specificities of the department has been its long standing commitment to not only produce STS analysis and insights for the international research community, but also both to reach “out” to audiences beyond academia and to contribute to public and policy debates, as well as to reach “in” to engage other disciplinary audiences and higher education institutions with STS knowledge. The tradition started with Helga Nowotny who was never solely an academic throughout her career, but always also busy in building institutions across Europe, most recently by being a key actor in bringing to life the European Research Council. In this spirit, expertise of the department was brought into the early phase of Austrian experiments with science-society activities from the 1990s onwards. We were engaged in evaluations of the Austrian Science Weeks and of communication activities in the framework of the Genome Austria initiative. In this, we have more broadly speaking been active as advocates of more participatory approaches in the governance of science and technology, in an environment where the linear model of science communication still looms large. Next to science communication, the reflection of changes in contemporary institutions of research and higher education has been a second core concern, for example in a long-term collaboration (2001 to 2006) with the European University Association on the topic of university autonomy and its impact on practices of research and teaching. The result of this collaboration was a series of workshops for European rectors and a set of publications addressing some issues of this shift. Internationally Ulrike Felt was very active in the European policy arena. Among other activities she was expert in the Advisory Group of the European Commission for the Science and Society priority of the 6th framework programme (2003-2006), member of the European Research Advisory Board (EURAB; 2006/07), rapporteur of the expert group on Science and Governance and most recently leader of the European Science Foundation team on the future of science in society. 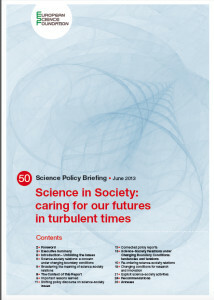 This involved also the production of widely ready reports such as “Taking European Knowledge Society Seriously” (20077 and „Science in Society – Caring for our Futures in Turbulent Times“ (see https://sts.univie.ac.at/en/science-in-society/). 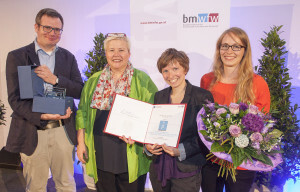 The latter was rewarded with EASST’s John Ziman award for significant innovative cooperation in a venture to promote the public understanding of the social dimensions of science. Since 2015 the department is experimenting with new forms of reaching out and reaching in. On the one hand, it has started a blog called “reflections” (http://blog.sts.univie.ac.at/about/) This blog wants to open up a space to engage with the multiple articulations of contemporary technoscientific and societal developments. Nourished by STS debates, it is meant to be a locus of critical reflection of the technoscientific realities we live in and by. Featuring contributions on department research, but also by guest researchers and students, the blog aims to be a showcase of the liveliness of our wider department community. 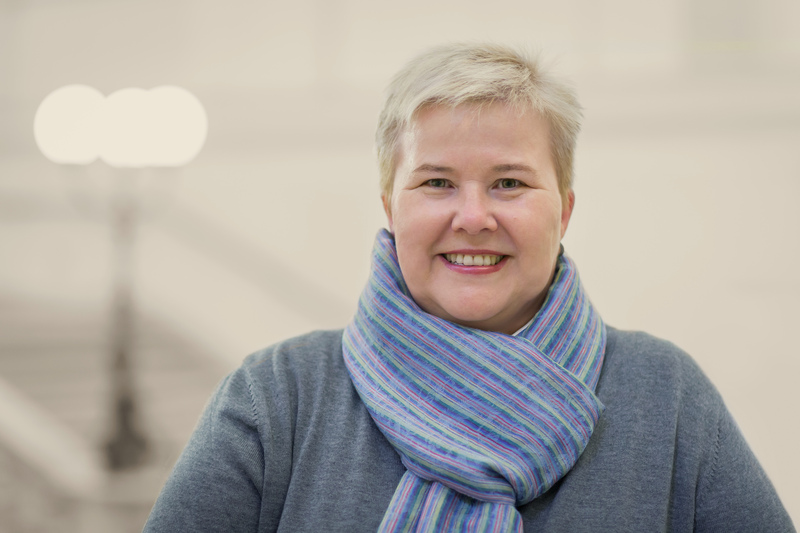 On the other hand, the department has a leading role in the establishment of a university research platform on “responsible research and innovation in academic practice”, headed by Ulrike Felt in cooperation with several researchers from the life sciences. This platform ties into numerous international debates around practicing responsibility in contemporary research as well as into Responsible Research and Innovation (RRI) which has been established as cross cutting theme for the EC Horizon 2020 programme. Building on earlier debates around science-society relations and the ethical, legal and social aspects of research, RRI aims to make research more reactive to societal actors, values and concerns. 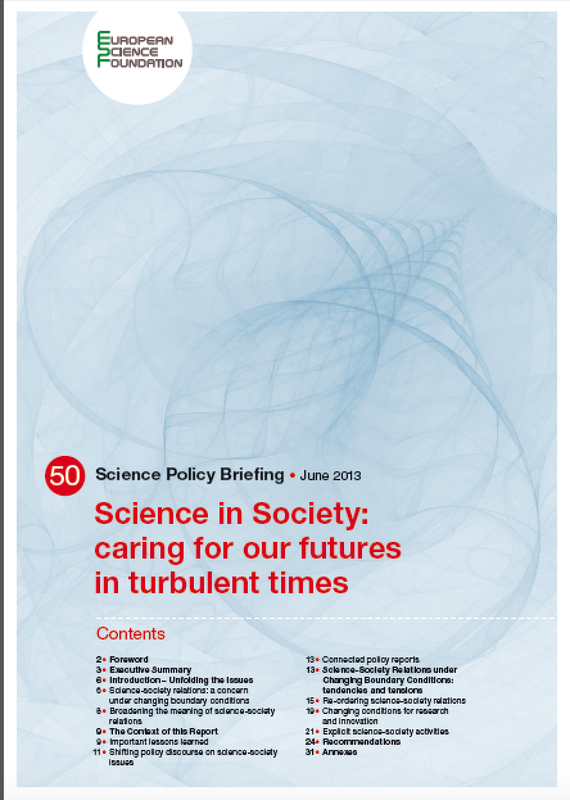 It stresses the mutual responsibility of science and society in shaping our common future. As a new concept however, RRI is still very much a buzzword waiting to be filled with concrete meaning. Research so far has concentrated predominantly on the impact of innovation activities on society and how the integration of societal actors might produce new roads to innovation. Less effort has been devoted to looking into more mundane research practices, into the research environments into which these are embedded and what responsibility may mean in them. This is essential, as the boundary conditions under which research is performed have changed considerably over recent decades, often in ways which may be argued to hinder rather than foster engagements with society, i.e. not offering adequate “responsibility conditions”. Universities are key institutions of the knowledge society, and they should thus take a leading role in giving meaning to the concept of RRI. This however needs to build on knowledge and reflection about the meaning and practices of responsibility in research contexts. Research platforms at the University of Vienna are funded based on a competitive procedure and have the aim to establish new forms of interdisciplinarity. The proposed platform aims to do so by establishing new forms of collaboration between Science and Technology Studies (STS) and life science researchers. The platform’s central objective will be to gain an understanding of the ways in which contemporary research conditions foster or inhibit different practices of responsibility issues. To do so, it will (1) map which conceptions of responsibility circulate and are practiced in different areas of the life sciences; (2) focus on six key areas of research practices to study where and how responsibility issues gain importance; (3) discuss how practices and conditions could be adapted to better align societal values with cutting-edge research. One of the first events taking place in the framework of the platform in February 2016 will address the growing importance of metrics in academic institutions and in researchers’ lives. Ulrike Felt is Professor of Science and Technology Studies and currently Dean of the Faculty of Social Sciences at the University of Vienna. Her research focuses on issues of governance, democracy and public participation in technoscience, changing research cultures, as well as the role of time in science and society issues. Her work has covered the life sciences, biomedicine, nanotechnologies and sustainability research. She has been invited professor at numerous universities and has been involved in policy advice to the European Commission as well as to national bodies. From 2002 to 2007 she was editor-in- chief of Science, Technology, & Human Values.